Interior needles turn brown and fall off creating a natural mulch for the tree.. 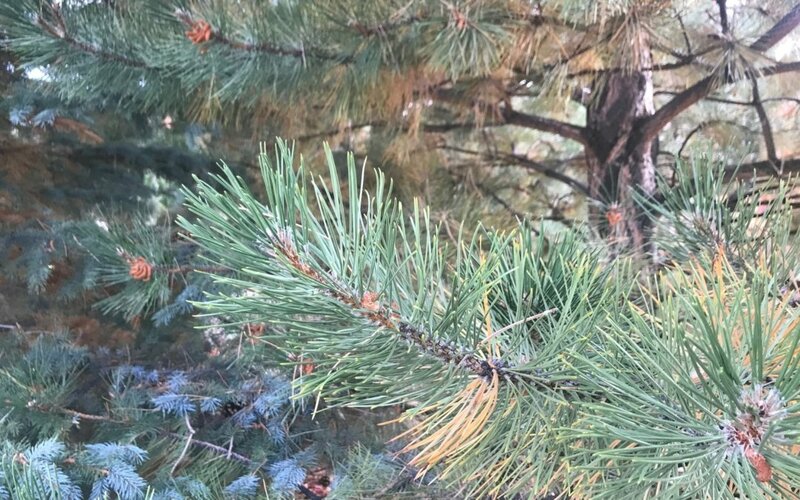 If your needles are turning brown from the tips that indicates a potential problem with the tree. As we move into fall and irrigation systems are turned off for the winter, it’s important to water not only your evergreens but all of your plants.